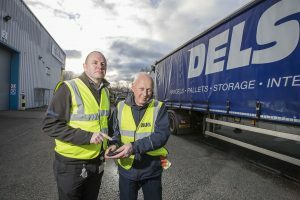 Vital equipment to keep power connected at data centres through to hospitals around the UK is being sped on its way thanks to a North Wales delivery company Delsol. 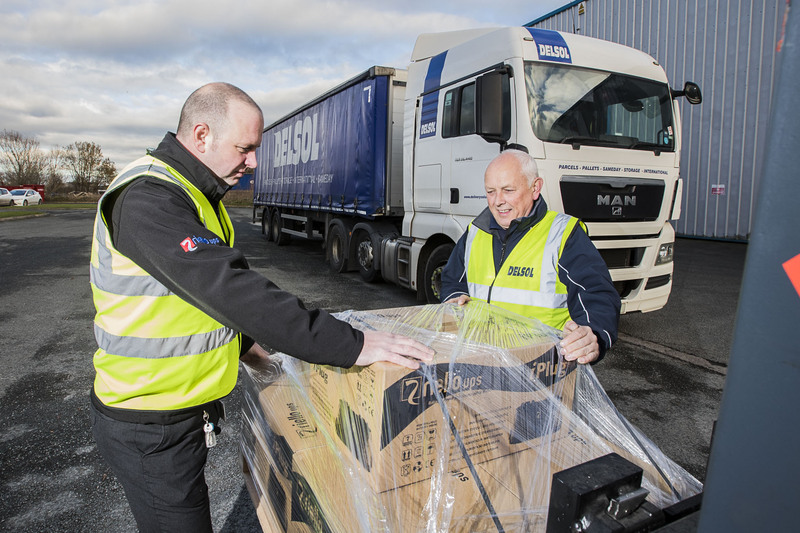 Couriers from the parcels and pallets firm transport products from the Wrexham base of Riello UPS Ltd to critical locations across the country. Getting parts speedily and reliably to customers at the right price is key, said Riello UK Managing Director Leo Craig. He runs the UK arm of Italian-based Riello UPS, which is one of the world’s largest suppliers of electronic and telecommunications equipment, and a leader in green energy solutions. It has just announced a partnership deal with the Audi Sport Abt Scheffler Formula E team in the FAI Formula E Championship. Riello UPS designs, installs and manages power solution for businesses and public sector clients who need the power to stay on all day, every day. Its range includes uninterruptible power supplies and standby power systems, generators and automatic transfer switches. Customers who order by 2pm can expect a delivery the next day from the company’s base on Wrexham Industrial Estate – so every afternoon a Delsol HGV arrives to collect pallets of Riello UPS products, ready to distribute the parcels through its partner networks to ensure the items arrive safely and on time. Mr Craig said: “We pride ourselves on being a world leader in the manufacture of uninterruptible power supplies and being a committed advocate of green energy solutions. “Thanks to our research centres near Verona and Milan, in Italy, which are world-class examples of excellence for the design, development and testing of uninterruptible power supplies, we constantly innovate our product portfolio, keeping it at the top in terms of performance, reliability and competitiveness. “Our clients include hospitals, data centres, air traffic control centres and military installations among others. We supply customers right around the UK from our Wrexham Industrial Estate base. Mr Craig, who started with Reillo UPS as sales engineer more than 20 years ago before working his way up to become the UK Managing Director, added: “Delsol provides us with a first class service. Delsol employs 125 staff at its bases in Caernarfon, Gwynedd, and Sandycroft, Flintshire, and offers same day, overnight and international delivery and collection services. Its fleet of 90 modern trucks and vans deliver items around the UK and across the globe to retail, commercial, industrial and private addresses, for large companies through to small enterprises and personal customers. Delsol uses its partner delivery networks in the UK to ensure Riello UPS products reach customers rapidly, said Delsol Managing Director Dave Phillips. He said: “We understand how important it is to Reillo UPS that its orders are delivered quickly and, above all else, on time. Riello guarantees its commercial customers a next day service and it is up to us to ensure those orders arrive safely with the customer, as rapidly as possible. “Our network of strategically located distribution hubs ensure that the parcels we collect from our clients reach their customers extremely quickly. Mr Craig, who commutes from his Kent home to Wrexham every week, added: “I’ve always loved working at Reillo UPS, which is a huge global company. Headquartered in Italy we have bases in Australia, the US, China, the United Arab Emirates, Vietnam, Romania, Poland, France, Germany and Spain. “As the company is a long-term sponsor of the Ducati Moto GP team we get to attend one of the European GP rounds each season with clients.